Our passion is horses and our mission is to breed the best thoroughbred athlete. Our vision is for investors in a Riverton thoroughbred to value their horse, have fun on the track and enjoy a return on their investment in this highly competitive sport. As breeders of Equus Champion Sprinter, Captain of All, the highest merit rated horse in South Africa and the joint second Best Sprinter in the World in the 2015 Longines World Best Racehorses Rankings we are heading in the right direction to consistently achieve our goal. Riverton Stud has had the privilege of producing the winner of the G1 Tsogo Sun Medallion three times with Captain of All 2013, Potent Power 2012 and Link Man 2010 (born and raised for Tawny Syndicate) all for trainer Dennis Drier. 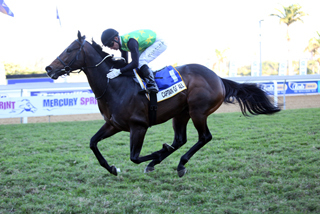 In 2017 Al Mariachi (winner of the KZN Million and Gr3 Umkomazi Stakes trained by Brett Crawford and Peter Musket) placed third in the Gr1 Tsogo Sun Medallion. Riverton farm was purchased by the Barry’s in 1918, nearly 100 years ago in the same year that the revered Nelson Mandela was born. The family are descendants of the Honourable Joseph Barry and his nephews who traded by ship and established stores, churches, schools and counting houses (the forerunner to banks in South Africa), across the Cape hinterland in the 1880s. By the late 1830s they had significantly opened up trade opportunities for Overberg farmers as the overland route was a hazardous, long and expensive journey that discouraged trade with Cape Town. By the late 1850s Barry & Nephews were loading a million pounds of wool direct for London at Port Beaufort and their custom built SS Kadie steamship was navigating 35km from Port Beaufort up the Breede river to Malgas. The Cape Colony received representative government from the British and elected the first Parliament of the Cape of Good Hope without regard to race in 1853. 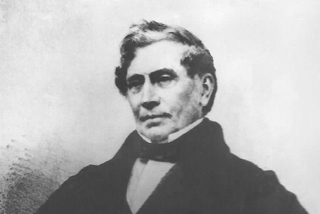 The Honorable Joseph Barry was elected as the Swellendam representative and moved to Cape Town. Barry House on Riverton farm is a charming 4 star exclusive self-catering large historic manor near Robertson in the Western Cape, 2 hours from Cape Town. Step into a gracious era and celebrate time away with up to 10 to 14 family or friends sharing 6 bedrooms & 4 bathrooms. Ideally located amongst the best award winning wine estates along the Breede River and 6km from Robertson’s restaurants. Voted as “one of the 3 best farm stays in South Africa” by Country Life Magazine in May 2014. Seeing a mare foal may just have cliched this accolade! Our farm stays include ‘braai’ BBQ wood, unlimited WiFi, luxury toiletries and DSTV with the full bouquet of channels in the family room. Check current availability and book online. Our rates and specials are pre-loaded. Note: The Wacky Wine Weekend and Wine On The River weekends are already booked.